The City of Armadale is committed to supporting our residents to lead healthy active lifestyles and we want to make it easier for you to carry on this message into your community. The City has made available a healthy and fun fundraising alternative to your usual chocolate drive or cake stall. 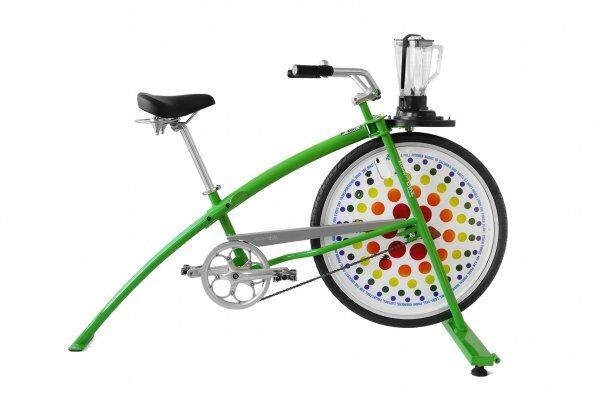 The City of Armadale’s Blender Bike is available to community organisations, schools and sporting clubs wishing to create pedal powered smoothies to raise much needed funds for their group. Sausage sizzles are a great way to fundraise for any organisation, but have you thought about making some simple changes to make your fundraiser healthier? Swap white bread with wholemeal, wholegrain or high fibre bread. Limit the amount of oil you use and use healthy oils instead (olive, canola, soybean, sunflower). Leave the margarine off the bread. Use salt reduced or no added salt sauces. BBQ vegies, make vegie kababs or BBQ corn on the cob. Use reduced fat and salt sausages (<10g fat per 100g and <500mg salt per 100g). Have plenty of cold water and limit the amount of sugary drinks available. For more ideas and tips download our healthier sausage sizzle information sheet. Why is healthy fundraising so important? The current consumption of fruit and vegetables among the West Australian population is well below recommended requirements. Additionally 1 in 4 children and almost 2 in every 3 adults are overweight or obese. Make money for your organisation while promoting health and wellbeing. Show your community that you care about health rather than profit alone. Provide satisfaction from being a positive role model. Reduce the pressure put on people to spend money on fundraisers they don’t agree with, or that they feel obliged to participate in.